Explainer: Who is Senator Fraser Anning? A brief background to Anning's career and why he is drawing criticism from all corners this week. You might know him as the man who slapped “Egg Boy”, or as the senator who referred to Hitler’s final solution when discussing immigration in parliament. And if you didn’t know who Senator Fraser Anning was before last week, you’ve probably heard of him after this weekend. 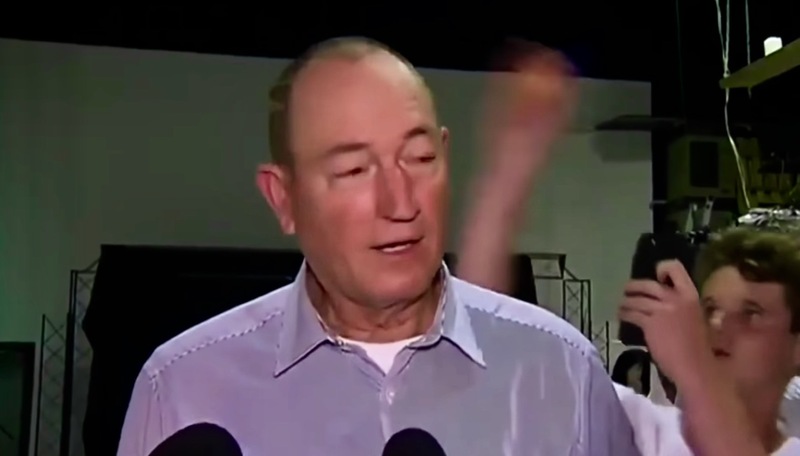 Senator Anning hit headlines in the wake of Christchurch’s fatal terrorist attack, after releasing a controversial statement that attributed the Christchurch attack on Muslim immigration. The Australian media and many politicians criticised Anning heavily for dispersing these messages, including Richard Di Natale and Scott Morrison on Twitter. Anning quite literally hit back to this criticism when he reacted to being egged by a 17-year-old boy during a press conference, by slapping the young boy in the face. The senator’s weekend in the media didn’t end there. He was next seen making an appearance at a gun show in Queensland on Sunday, just two days after 50 people were gunned down by an Australian terrorist. So who is Senator Anning, anyway? You might be asking: who is this man and how did he become a senator? In the 2016 federal election Anning was a candidate representing the controversial Pauline Hanson One Nation party, in the Queensland senate. One Nation received a staggering 250,000 votes. Of these votes, most were acquired by Pauline Hanson, followed by Malcolm Roberts with 77 first-preference votes – four times more than Anning. However, you might remember a few years back when politicians started getting booted from parliament for being dual citizens. Well, this is exactly what happened to Roberts. After Roberts, who was found to be a UK citizen and kicked out of his position, the next candidate to fill the role was Anning. This meant Anning was handed this spot with a mere 19 first-preference votes. After using Pauline Hanson’s One Nation Party to gain a position in parliament, Anning switched to Katter’s Australian Party on his first day on the job. That’s right – a man with limited votes scored his way into his position due to a citizenship error. You have to love Australian politics, right? It’s not the first time Anning has said something incendiary as senator. You might remember his first speech to parliament, where he called for a “final solution” to immigration in Australia. If you’re rusty on your history, this was a term used by Hitler during World War Two to describe his attempt to eradicate Jewish people from Europe. Needless to say, the reaction to Anning’s use of the term was not warm. So, can he be expelled from parliament for his actions this weekend? Over the weekend, a petition to have Scott Morrison remove Anning from parliament, racked up over 1,141,000 signatures. Despite the million signatures, Senator Anning cannot legally be expelled from parliament. Back in the 1920’s the parliament expelled Labor opposition member Hugh Mahon. Shortly after Mahon was expelled, the constitution was amended due to fears that the power of expulsion could be abused in the future. Basically the rules say, you cannot simply remove someone from parliament. Politicians including Greens leader Richard Di Natale told News Corp that he wanted to reinstate the powers of expulsion within parliament. With the upcoming federal election in May, it is unlikely that Anning will survive another term.